One of the first flowers of the spring season, the cheerful pansy is a well-loved favorite among gardeners! 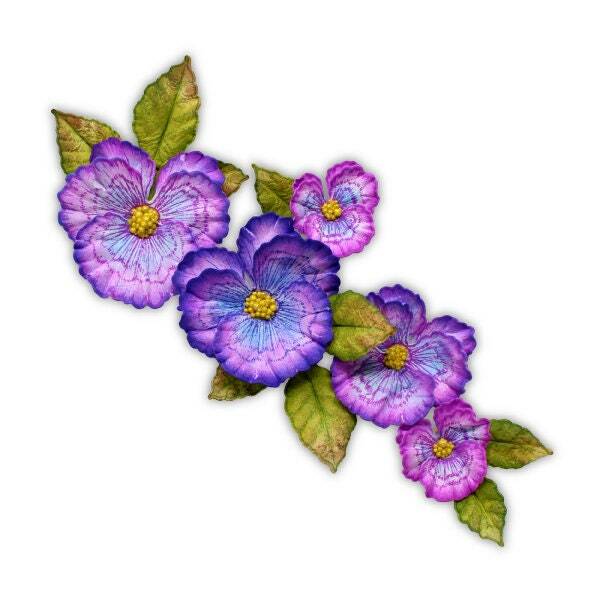 Now it is easier than ever to create your very own real life pansies for your handmade cards, layouts and altered art, with the 3D Pansy Shaping Mold! 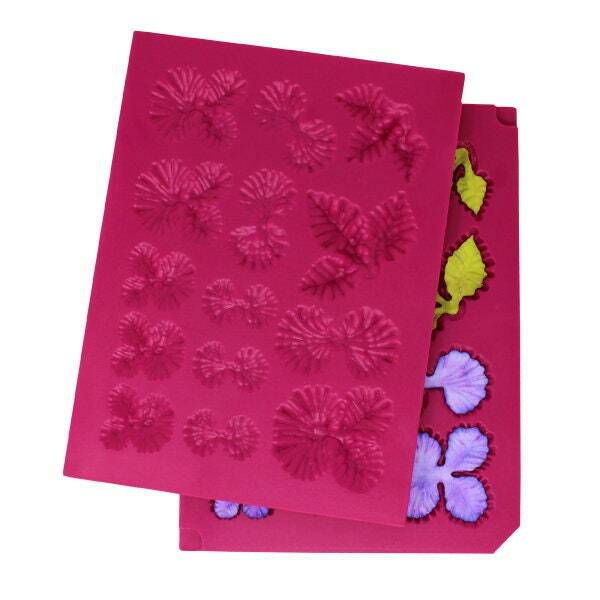 Designed for use with the Cheery Pansy Cling Stamp Set and coordinating dies, the 3D Pansy Shaping Mold is a wonderful tool to begin the flower shaping process when time is running short, tired hands need a break or a design calls for a significant number of floral embellishments! Constructed from sturdy plastic, this two piece shaping mold has delicate floral vein impressions designed into both upper and lower plates allowing you to achieve delicate detailing on each petal piece. Simply stamp pansy petal images, die cut with coordinating dies, set the petal pieces into mold cavities, spritz with a tiny bit of water, and send the entire mold through your die cutting machine to shape. For extra added dimension and detailing, finish off with a touch of hand shaping using your flower shaping kit if desired! 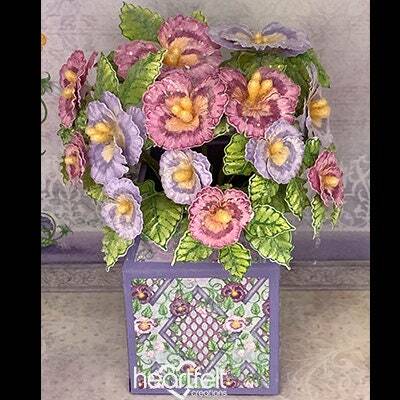 We recommend purchasing the coordinating Cheery Pansy Cling Stamp Set and Cheery Pansy Die for use with this pansy shaping mold.